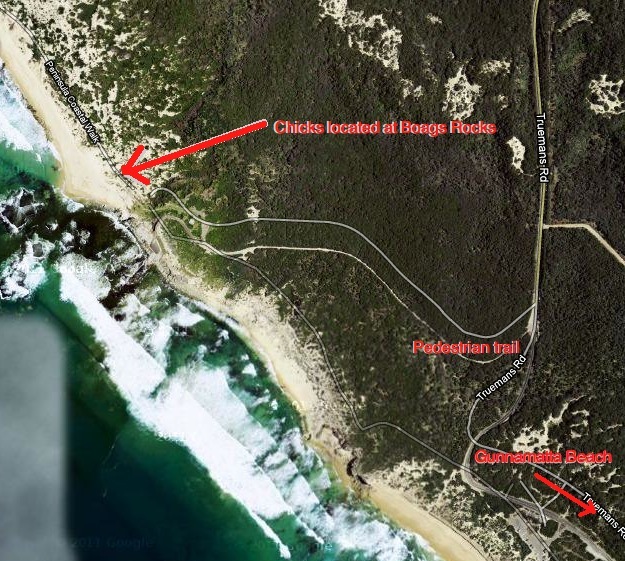 Boags Rocks is where you may find the latest couple of Hooded Plover chicks for the season. We are not encouraging wardening on this beach as there are not many people who access this site but if your interested and your careful not to disturb the chicks and parents, this beach has been successful over the last two years. Mind out for horses.